Cyser (honey). Sweet, with funky taste. 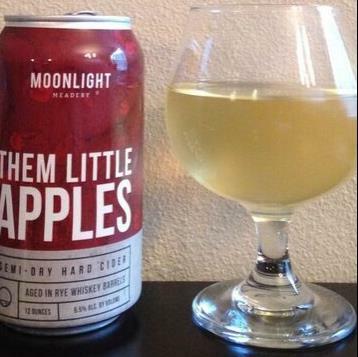 A soft medium sweet cider with a bunch of carbonation that fades quickly. It's nice but not compelling. Not bad for a salad, in that it's actually vinegary! It is advertised as a cyser mead but I can barely taste any honey. Due to it's sour flavour, wouldn't go well with much else than perhaps ceviche, but on it's own, it's ok. Note this is different than "How Do You Like Them Apples?" (without "little"), and this is a cider, not a mead. Cider blended with honey & brown sugar before fermenting in whiskey barrels. Draft only release tried at Schilling Cider House. I'd call this sweet to very sweet. Very smooth. Tastes like it would be a higher ABV than it is (but I wouldn’t call the taste boozy). Definitely honey flavor. I wouldn’t have guessed it was barrel aged. Awesome! 5 stars. UPDATE - I picked up their first canned batch. Completely different this time around. Semi-dry to semi-sweet. Oddly enough has some funk, sourness, and as noted in another review, a slight vinegar flavor. It is missing the awesome flavor of previous batches. Disappointing. I think they should have dumped this batch instead of selling it. 1 star.